As the school begins a new year we welcome those who have newly enrolled and salute those who continue their studies. I encourage you to press on diligently and never doubt that you can fulfill your desire to complete the WVBS Online Bible School! Regardless of your reason for studying with us I am glad you have chosen to be a part of the WVBS Online Bible School. I commend you for your desire to have a deeper understanding of God’s word. You have set an admirable goal in your life and I will do all I can to encourage you during your journey. Students will now have free access to four exciting new videos covering Noah’s Ark and the Global Flood. These optional videos are provided as supplemental information to the Genesis Course. When you register for the Genesis Course you will find these videos on the Genesis Course page as well as the page for Genesis Lesson 6 which corresponds to the covering of this topic. The Ark (26 minutes). When you think about the reality of Noah’s Ark, you might have questions about its size, its construction or its cargo. Have you ever asked, “Did Noah and his sons really build the Ark? Did they really live on it with all those animals for months? Or, how about the BIG question, How large was the Ark? Well, on these questions, we don’t have to be left wondering. In the Bible, God gives very precise details to Noah, especially on the question of how large the Ark was to be. The Animals (26 minutes). Have you ever heard the questions: “How did Noah and his small family find and trap the animals? How did Noah transport the animals and house them all on the Ark?” These questions are common, but there is a problem with each. They are based on scenarios which do not come from the Bible and are not based on scientific facts. In studying the reality of Noah's Ark and its animals, we have to consider exactly what the Bible describes about this event. The Global Flood (33 minutes). How big was the Great Flood found in the Bible? Was it a local flood affecting only the region around the Black Sea? Or, was it a global flood covering the entire world? As we consider these questions we need to focus on how the Bible describes this event. Join us as we look at internal and external evidences for the biblical flood: from the Bible’s precise terminology and descriptions, God’s detailed instructions to Noah, and life’s preservation. The Story of Noah (39 minutes). Noah was born into a sinful and morally unraveling world. The Bible describes a world filled with violence, wickedness and corruption. How did the world fall into such awful conditions? What were the challenges that faced Noah and his wife, as they tried to raise their family? What was the path God wanted them to follow? Consider the biblical account of Noah's life and response to God. 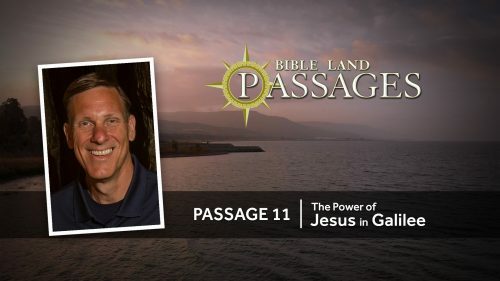 "Passage 4 | In the Shadow of Gilboa: Reaping & Sowing" is the newest video in the series and shows epic events in the life of the Israelite people during the time of the Judges and Kings of ancient Israel. Recorded on location in northern Israel, this 23-minute video examines several biblical events that occurred in and around Mt. Gilboa, Beit Shan, and the Jezreel and Harod Valleys. The lessons taught in these places offer truths as enduring as the beautiful settings in which they occurred. The achievements of Gideon and the tragic demise of King Saul are revealed in this thrilling documentary about what happens when you either sow to the Spirit or sow to the flesh.